Barbara Lorraine (Willis) Mullins, 79 of Templeton, formerly a long time resident of Southborough, passed on Friday, November 23, 2018 after a battle with cancer. She was the beloved wife of the late James Mullins Sr. who died in 2002. Barbara was a registered nurse and loved to help people in need. She worked for many years as a nurse at the Framingham Detox Center and MCI Prison for Women. Barbara taught Catechism for St. Matthew Church and umpired for the girl’s softball team in the 1970’s. 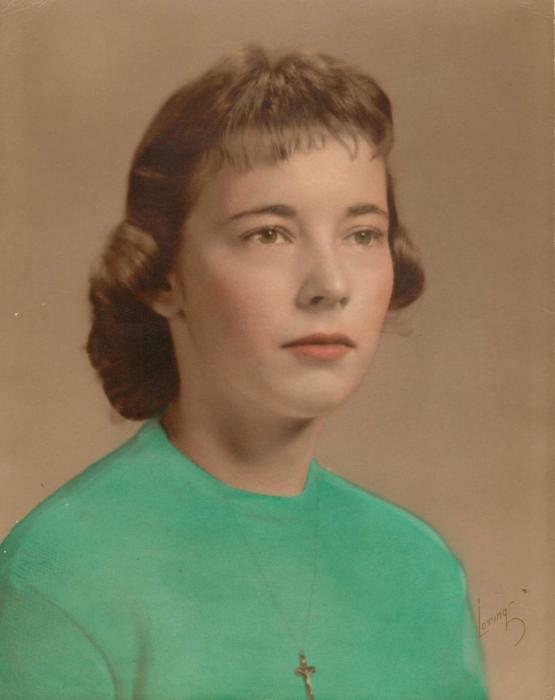 She was an avid card player, loved to knit, socialize with her neighborhood friends and enjoyed traveling. She is survived by her children, James Mullins Jr. and his wife Eileen of Quincy; Melissa Morin and her husband Don of Templeton; William Mullins and his wife Toy of Brockton; Stacey DeSouza and her husband Dennis of San Diego; Kevin Mullins of Auburn; her sister Dorothy Bishop of Pembroke; four grandchildren and many nieces and nephews. She is also predeceased by her brother, Arthur Willis. Visiting hours will be held on Wednesday, November 28, from 4pm to 7pm at the Morris Funeral Home, 40 Main Street, Southborough. A Funeral Mass will be held on Thursday November 29, at 11am at St. Matthew Church, 26 Highland Street, Southborough.